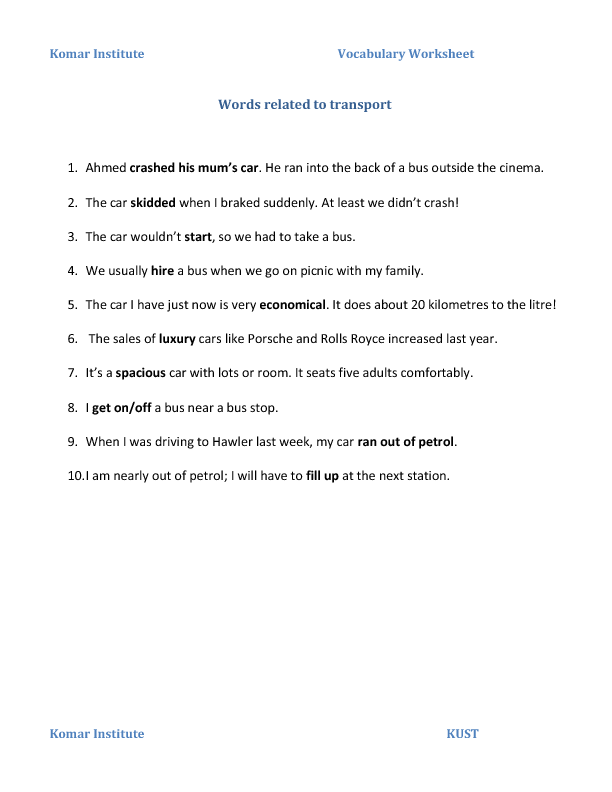 This worksheet contains some very useful expressions related to transport and present perfect practice. It is recommended for elementary to intermediate students. 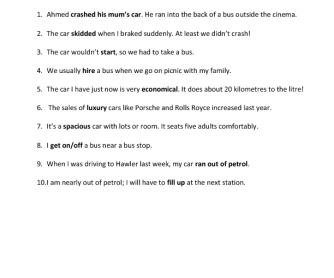 The students have a look at the sentences first, then they do the fsw activity. They have to change the form of the verb into pp and go around the class to find someone who answers yes to the question. Later students talk about some of their friends.